What is the Best Hiking Flashlight? Extended hiking trips require some essentials: water, backpack, navigation, and let's not forget a good reliable flashlight! The best hiking flashlight will have a combination of low weight, long run times, weatherproofing and a way to carry it hands-free. 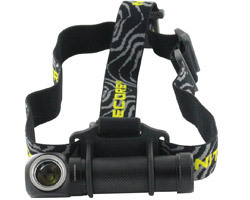 Certain styles of flashlights fit the bill including headlamps, angle lights, and clip lights that can be fastened to clothing or gear. This curated batch of the best hiking flashlights is tried and tested by us, the flashlight experts. 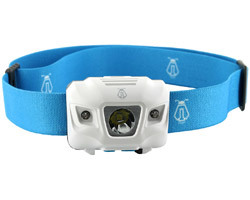 1000-lumen LED headlamp doubles as a clip-on angle light. Long runtime, simple design, red LED, & affordable price.